Albariño wine is one of the most underrated and off-the-radar white wine bargains around. If you have been to Spain you surely know about this favorite white wine that the Spanish serve and drink with a variety of their scrumptious seafood tapas. 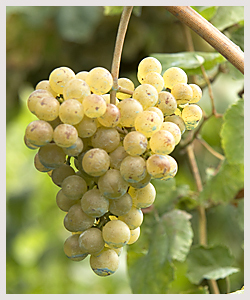 Albariño wines are dry, crisp, and refreshing wines, some with citrus characteristics, some with more floral characteristics. The closest white wine that I can think of to the characteristics of an Albariño is a dry Riesling wine, but still it is a far different wine. It is the perfect wine for the warm days ahead and to be enjoyed out on the deck or patio. Best of all there are plenty of these Spanish Albariño wines available at bargain prices. Janelle and I traveled to Spain in 2007 and visited the center of the Albariño wine area, Ponteverde, in the Rias Baixas wine region of Galicia, Spain. We visited two wineries and were lucky enough one morning to catch the harvest of this intriguing grape. Since that trip, we always keep our wine cellar stocked with a good amount of Albariño wine. Here are just a few delicious and well-priced Spanish Albariño wines that you can find at several wine shops. Gallo imports the wine from this Co-op winery. Local and small vineyard growers bring their bounty to this winery at harvest time. These local farmers put much tender loving care into the growing of the grapes. 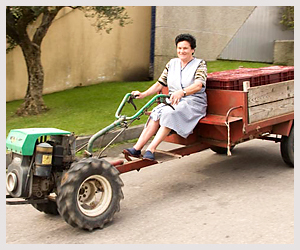 The photo shows a woman who had just dropped off her grapes and is now heading back to her vineyards to pick up another load of harvested Albariño grapes. When we drink a bottle of this wine we always think of these small farmers that we watched joyously bringing in their grapes to be made into wine. Guess who owns this winery. It is Martin Codax. This one is very popular and can be found at K&L Wines, The Wine Stop, and tons of places online. We prefer the Martin Codax but this one is found more prevalently. This is a great bargain wine I found at Costco and it is also at BevMo for two dollars more. It was one of our “Bargain Wine Picks” for the week of February 28. It has aromas and flavors of citrus, mostly lemon, a touch of lime and perfect acidity in the mouth. If you see this at Costco, grab a bottle to try. My local wine shop in Burlingame, Weimax, carries this wine and so does K&L Wines for $14.99. This Albariño wine is slightly effervescent with a slight peach aroma. The acidity is nicely balanced with a bit of lemon character. This wine goes down so easily. Very nice! This one is perhaps the best of the bunch but a little more expensive. It has a beautiful light golden color, great flavors and acidity. It is at some Costco stores and K&L Wines ($19.99). The Wine Advocate gives this wine 91 points. Here is something to try with any of the above Albariño wines. It is sautéed Pimiento de Padrón or Padrón Peppers. 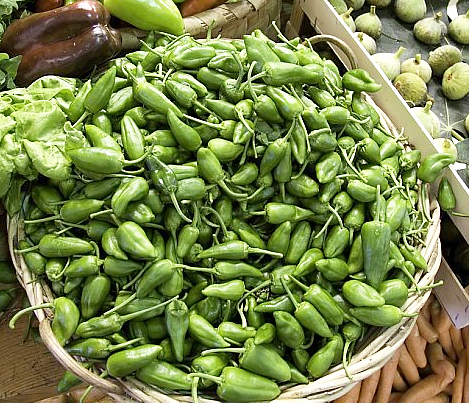 These are very mild Spanish peppers and a very popular Tapa in Galicia. In the San Francisco area you can find them at some Farmers Markets. We buy them at either the Ferry Plaza Farmers Market at the Ferry Buidling or if we are in Berkeley, at the Spanish Table on San Pablo. These peppers are rarely found outside of Spain. These ones are grown in East Palo Alto by Happy Quail Farms and become available in late spring. Saute the peppers in good olive oil for maybe two minutes. When they start to blister, take them out, pat dry with a paper towel and then sprinkle with sea salt. Grab the glass of Albariño and enjoy! This year the end-of-summer wine of choice is Albarino a refreshing Spanish white wine…Albarino wine is crisp and fragrant with a host of flavors and aromas… Albarino s natural acidity is refreshing and clean and allows the wine to pair well with a variety of foods including spicy dishes… Albarino is the perfect summer white said Katia Alvarez winemaker for the Martin Codax Rias Baixas Albarino. When planning a wine menu for summer gatherings Alvarez suggests thinking about the intended atmosphere guests preferences and pairing qualities.